Einhorn Insurance offers competitively priced landlord condo insurance policies in California (also known as Landlord HO6 Insurance). Policies usually start around $30/mo. As rents in California keep creeping up, more and more people are purchasing condos and townhomes as income properties. 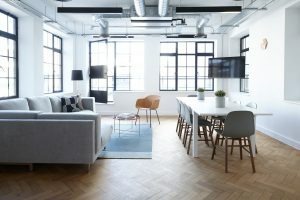 When you are renting out your condo or townhome, you need a landlord condo insurance policy also known as an HO6 policy. Doesn’t The HOA Cover My Condo or Townhome? Yes, the HOA will most likely cover common areas (grounds, roof, exterior of your building, clubhouse, pool, etc), but as the owner of the condo or townhome, you are responsible for covering everything from the WALLS INWARD. This includes flooring, cabinets, fixtures, lighting, sinks, toilets, window treatments, electric, plumbing and more. In the event of a fire or a covered loss, the HOA will not repair the interior of your property. This is where landlord condo insurance saves the day. Most condos and townhomes cost an average of $100/sq ft to rebuild (and this is just the interior). – What happens if your tenant has people over and someone gets hurt? – What if your tenant’s pet bites someone in your property or on the community grounds? What if their pet bites the mailman? – What if your tenant leaves the stove on or a candle burning and causes a fire? – What if your tenant leaves the hose or bath tub running and floods your unit? – What if someone breaks into your condo and causes damage? A landlord condo insurance policy steps in to repair the damage. This is even the case if the damage caused extends to other units. A landlord condo insurance policy will even financially compensate you if your tenant has to move out while damage is being repaired. During this time, a tenant is not required to pay rent. There is a coverage called Loss of Use or Loss of Income that will pay you the rent amount while your property is being repaired. Many landlords depend on this income to pay the mortgage and without rent, you could be in jeopardy of losing your condo/townhome. We HIGHLY recommend requiring your tenants to carry Renters Insurance with a minimum of $100,000 in liability coverage and require that you be listed as an Additional Insured on the policy. As an Additional Insured, you will be notified if the policy ever lapses or cancels for non-payment. If the tenant leaves a hose on, water running, a stove on, a candle burning…etc, the liability portion of their Renters Insurance will step in first to cover any damages. Renters Insurance is usually under $15/mo and it’s a great way to make sure your property is protected. As a landlord and property owner, you’ve worked hard to buy and keep this property. A landlord condo insurance policy can protect your property and your assets. You won’t have to reach into your own pocket to repair the damage your tenant covers (assuming it is a covered loss). 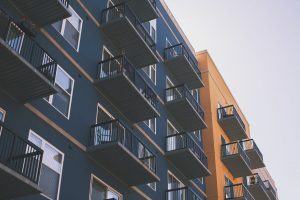 For more information on Landlord Condo Insurance in California visit https://einhorninsurance.com/california-home-insurance/ and click the GET A QUOTE button. You can also call 619-313-4643.